Oxford Aviation has earned a reputation as a premier source for civil and defence aviation solutions. Our membership to leading Industrial bodies ensure our higher standard of compliance to ever changing circumstances with the best of support and services. The European Aviation Suppliers Organisation was formed to give the suppliers to aviation a voice within the industry to enable them to have a say on airworthiness and quality issues which affect their business. The Thames Valley Chamber of Commerce Group works with businesses across Berkshire, Buckinghamshire, Oxfordshire and Wiltshire to help them achieve their full business potential. The organisation is recognised as the leading voice of business. We are exclusive distributors for Aerospace Porvair Filtration Group, we are also distributors for Purolator Facet, British Filters and PMA Products. We are also stockists for a vast array of PTI Technologies, Pall Aerospace, Donaldson Company, Everpure (Pentair Water), LanAir Research & Development Inc, Honeywell, Hamilton Sundstrand, Pratt & Whitney Canada, Champion Aerospace and many others. As exclusive Aerospace Porvair Filtration Group distributors we pride ourselves on being able to offer the best prices for Aerospace Porvair Filtration Group parts in the marketplace, with a large quantity of core item stock on site in Witney, near Oxford, UK. 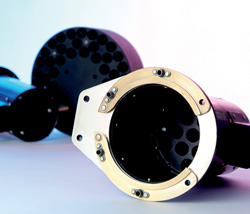 Porvair designs and manufactures specialist filtration components and assemblies to meet the high technology challenges of aerospace and defence industries for contamination control in hydraulic, fuel, lubrication and air systems. Our filters protect vital sub-systems such as flight controls, fuel management and fuel inerting systems, thrust reversers, braking and steering, power generation and air intakes in aircraft, helicopters, military vehicles, missiles and spacecraft. Porvair has a modern facility in Fareham, Hampshire, UK where it has design, manufacturing and test facilities for its aerospace products. PTI Technologies is a world leader in the design, development, manufacture, marketing and distribution of high technology filter elements, modules, and filtration and fluid flow equipment. PTI Technologies have over 85 years in the engineering, development and manufacturing of innovative, cost effective and advanced products across a range of filtration and fluid flow applications. PTI Technologies’ engineers serve on a range of committees including; SAE International (SAE), National Fluid Power Association (NFPA), and International Standards Organization (ISO). British Filters manufactures filters for a wide range of industries and sectors. British Filters prides itself on specifically designed filters that are created to meet the needs of its diverse clients. These filters are used on Military Aircraft, Fuel Depots, Helicopters, Tanks, Radar, Submarines and Warships. They also serve the Civil Aircraft Market supplying to Aircraft manufacturers and Airlines all over the world. British Filters also supply filters in the Industrial Market with they off shelf range of products used in Gas Turbines, Machining Equipment, Off-Shore Oil Rigs, Automotive and Motor sport industry which includes Formula 1 and Rally cars. Our filters are used for some unusual tasks. In Burma they are used to filter snakebite serum, in Australia for filtering peppermint essence. Some more usual applications for British Filters products include well known leading drinks and beer brands, pharmaceutical and cosmetic products. For more than 15 years PMA Products, Inc. has been the reliable, affordable alternative for the highest quality FAA / PMA approved aircraft parts for Piper, Beech, Cessna, Embraer, and Pratt & Whitney. In 2006 PMA Products received the Leadership Award from MARPA, the Modification and Replacement Parts Association. PMA Products is proud to serve the aviation community With over 200 FAA / PMA approved parts. Hormoconis resinae, more commonly known as the jet fuel fungus represents a significant safety and financial risk to aircraft operators. If allowed to grow unchecked the biomass produced by the fungus can lead to filter blockages in the fuel system. Also, it is by far the most common cause of microbial corrosion in aircraft fuel tanks which can lead to damage of the tank structure. Therefore, it is essential operators regularly test their fuel tanks for the presence of this fungus to ensure they do not fall foul to it and its potentially costly removal. The easy to use, pregnancy style, 10 minute FUELSTAT tests by Conidia Bioscience provide a simple way for engineers to test for the presence of jet fuel fungus. By removing the need for samples to be sent away to labs for analysis time on the ground for the aircraft is significantly reduced. Additionally, the test does not require any specialist training and works straight out of the box. FUELSTAT resinae and FUELSTAT resinae PLUS test kits can be used for all civil and military applications and is recommended by IATA, Airbus, Boeing, BAE Systems, Fokker Services B.V, Embraer, Raytheon Aircraft and many other OEM’S and MRO’s.